Chez DAMIER/BEN VEDREN/RON TRENT Parola Di Bocca #2 vinyl at Juno Records. Looking at the heavyweight cast of producers involved, there was no way this EP was ever going to be anything other than essential. What you get is two reworks of classic Chez Damier and Ron Trent productions - a loose, low-slung, fluttering late night take on "Morning Factory" by BA AS Deep, and a brilliantly sleazy, fuzzy Kai Alce edit of Ani's 1994 throb-job "Love is the Message (Prescription Dub)" - plus what appear to be two fresh, unheard cuts. 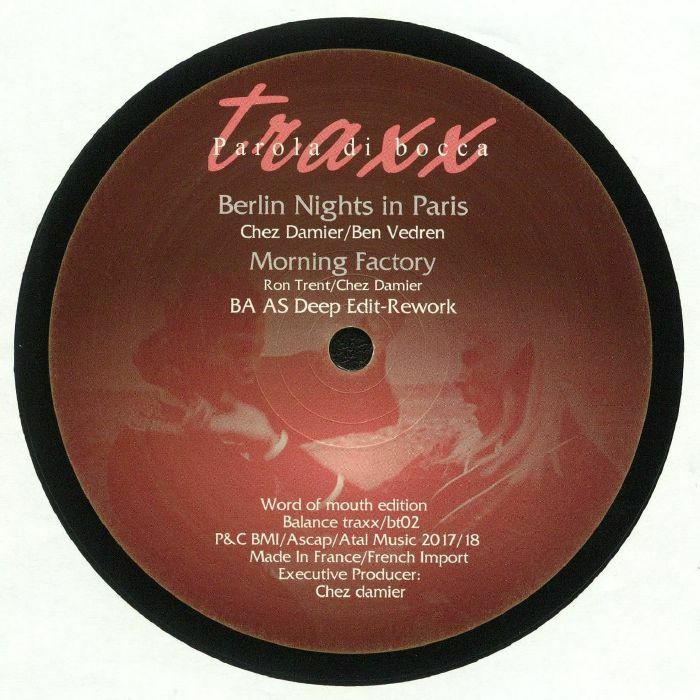 Arguably the pick of the pair is "Berlin Nights in Paris", a gently acid-flecked chunk of late night deep house hypnotism credited to Damier and Ben Vedren's occasional H2H (Heart 2 Heart) project.